Exciting news! We can announce our first sponsor of the 2019 National Show in McCook, NE. This event will be sponsored in part by a grant from Red Willow County Visitors Bureau. The grant will cover the rental of the arenas for the National Show. A huge thank you to the Red Willow County Visitors Bureau! The Confederation for Working Equitation would like to extend our most sincere THANK YOU to all our sponsors and supporters of our first National Championship Show! Haras Hacienda - Rafael Chavez Located in the equestrian heart of Texas forty minutes from Houston downtown and George Bush International Airport, HARAS HACIENDA provides you with the perfect ambiance of a contemporary Hacienda offering a diversity of areas that can be combined to suit your needs and taste. HARAS HACIENDA is the ideal wedding venue for religious celebrations, social functions, weekend getaways, corporate events, and special occasions. Open and covered areas are surrounded by beautiful landscapes: a lake, a small island, a chapel, decks, lounges, large and small plazas and a state of the art boutique hotel that crowns the premise providing luxury and comfort that enriches any special occasion. Key Private Bank - Use the Red Key - We would like to wish the riders luck and the Confederation a successful show! At White Stallion Ranch, the personal touch and hospitality of a traditional dude ranch is carefully blended with the service and amenities of a fine resort. The True family welcomes you to the ranch that has been their home for over 50 years. Reconnect with nature, family, friends and serenity. Ride through the unspoiled desert, rugged mountains and cactus that have brought Hollywood filmmakers to the ranch for over 70 years. Recognized nationally for excellence in service and value. Please visit our website at www.whitestallion.com or visit us on Facebook! KarMik Acres - Changing lives one horse at a time - Woodstock, Illinois - www.karmikacres.com - “KarMik Acres would like to Congratulate all riders for making it to Nationals this year. Good luck to all! We hope to see some of you at our Midwest shows in 2019. Find our events on Facebook at KarMik Acres and Working Equitation Midwest." Peter Houghton DBA of AEROSPEZIAL "Wishing everyone great success for the Confederation of WE National Show and to the riders fantastic Flying Changes!" Tamera Mayo - Golden Maple Friesians - Black horses with hearts of gold. SHOWOFF RIBBON RACKS - "Show off your hard earned ribbons with a SHOWOFF Ribbon Rack "
ERAHC - Eastern Region Andalusian Horse Club was formed in 1992 to promote the Andalusian and Lusitano breeds. ERAHC first offered Working Equitation classes at their show in 2008, and has stayed current with the evolution of the sport in the U.S. ERAHC is a group member of the Confederation and held two B-rated shows in 2018. AZWEC - Arizona Working Equitation Club - AZWEC is very excited and honored to be part of the first Confederation of WE National Championship Show. We have a strong supportive group of riders that belong to the AZ Club and a good number of our riders are holding high standings on the leader board for the Confederation. We are excited for the future of the sport and all the Confederation has to offer it’s Group Members. AZWEC will continue to strive for adding members and qualifying more riders to enjoy the competition of future National Championship shows. Elizabeth Morosani "Good luck everyone!" Lori Fisher - After years of showing dressage, Lori has recently become passionate about the Working Equitation sport. Photo showing Lori, a Green Bay Wisconsin native, riding to a musical freestyle she choreographed to football music. 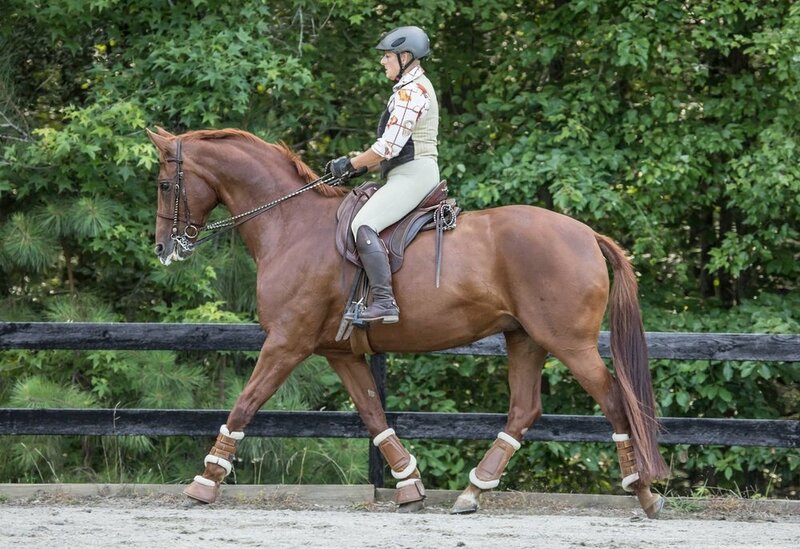 Biddie Lowry, a former eventer, fell in love with Working Equitation this year. Photo shows Biddie with her horse, Oliver, at the Mother's Day Working Equitation Show in Virginia where she was Reserve Champion at the Novice A level. 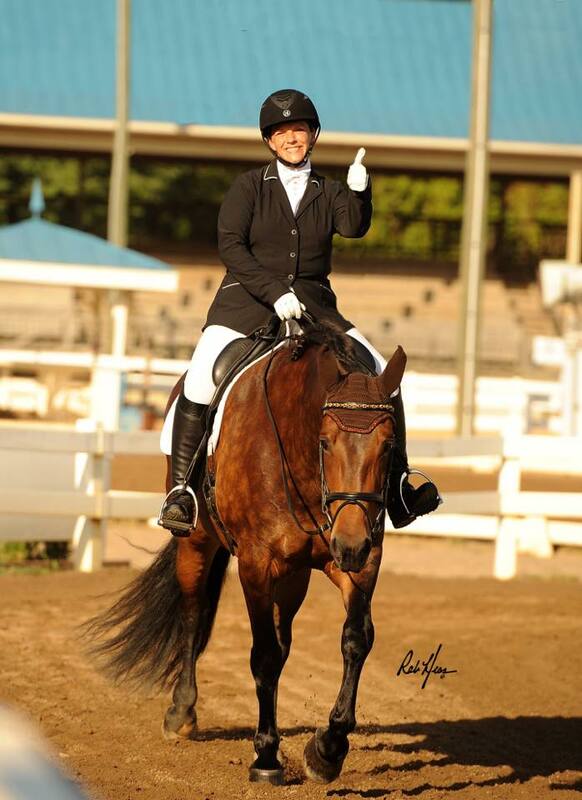 EQUIDOMA - Kimberly June - “Wishing the best of luck to all of the riders! Your dedication to the sport, your horses and your skills are inspiring! Thank you to the Confederation for Working Equitation USA for all your efforts...best wishes for a great show!" 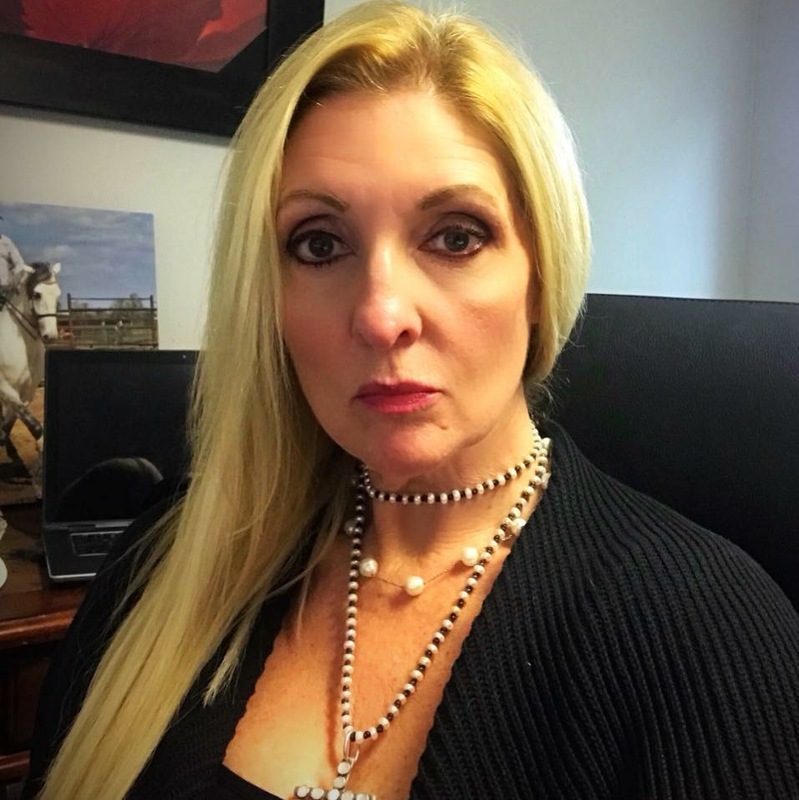 Malinda Mata - Edwards de Mata Law - Specializing in civil litigation, equine law, and business law.